La Rosiѐre 1850 is based around a charming Savoyard village perched high on a sunny plateau with stunning views across the Tarentaise Valley over to Les Arcs, Tignes and beyond. 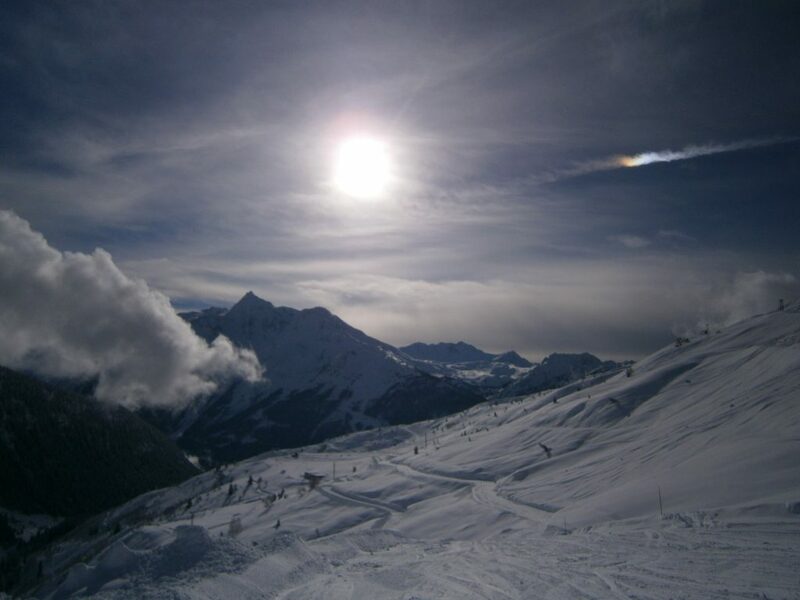 This sunny south facing resort is a well-kept French secret with uncrowded slopes offering skiing for all abilities. 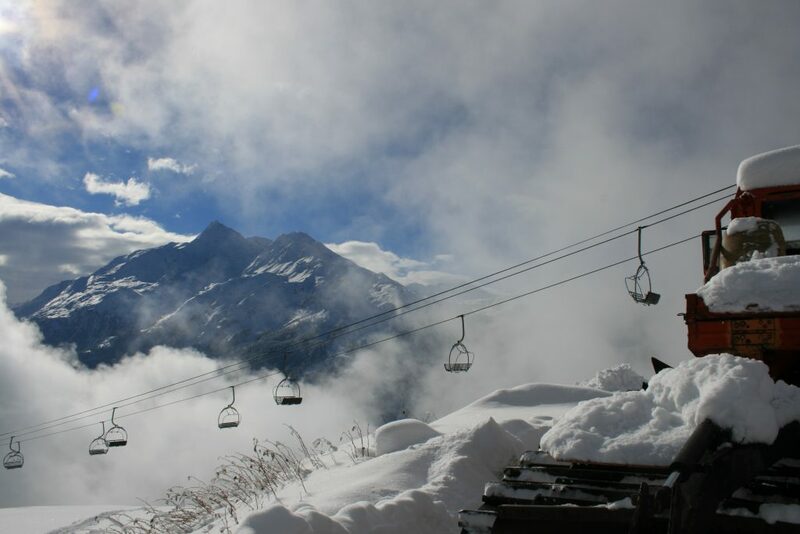 It not only boasts the sunniest slopes in the Tarentaise but due to its height and proximity to Mont Blanc has high snowfall throughout the winter season providing excellent snow conditions. From wide cruising blues, to challenging red and black runs, as well as significant off-piste options La Rosiѐre’s slopes cater for skiers of all abilities. And just in case that wasn’t enough there is a snowpark, a boarder cross course and a snow cross track too. 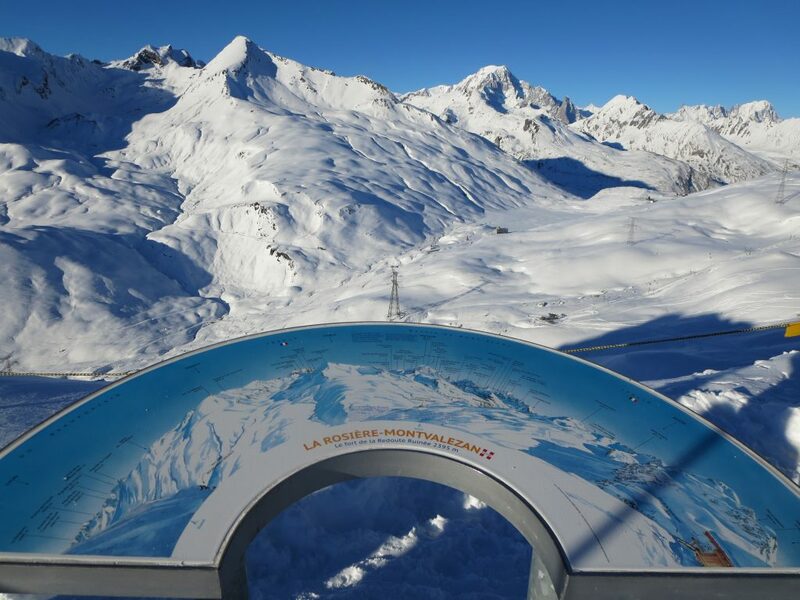 La Rosiѐre is part of the Espace San Bernardo ski region which straddles the Italian border, meaning a real Italian cappuccino is only a few lifts and a beautiful 7km piste away! Being linked to La Thuile in Italy gives access to even more blissfully uncrowded slopes in the picturesque Aosta valley with fabulous views of the imposing Mont Blanc. Between the two resorts, there is 150km of slopes on offer, served by 35 lifts and, for the coffee cruisers plenty of coffee stop opportunities in chocolate-box alpine restaurants and cafes. La Rosiѐre is very proud to display The ‘Famille Plus Montagne’ quality label which is a unique award given to French resorts achieving over 100 various criteria to provide family specific services. If by chance one day you don’t fancy hitting the slopes there are a number of other things you can try. How about snow kiting, speed riding, Nordic walking, dog sledging or simply soaking it all up in one of the coffee shops or bars? Les Eucherts has an ice skating rink where once a week you can watch local teams battle it out on the ice hockey pitch. There is also a bowling alley in Les Eucherts and a cinema in la Rosiere (films shown in English on Wednesdays). If you really want to hit the gym on your holiday then you can in the Espace Forme-spa or if beauty treatments or massage are more your thing that can be arranged too. We can book or advise on any of these activities for you.